I always seem to have 1 or 2 students absent each day. This year my class has been hit hard by the flu. Managing each absent students homework and classroom work can sometimes be a chore. When parents would ask for their child's work, I'd find myself running around searching for the extra papers. Now I have a system that works like a well oiled machine. I created labels for these folders I had and have them in a location easy for students to access. 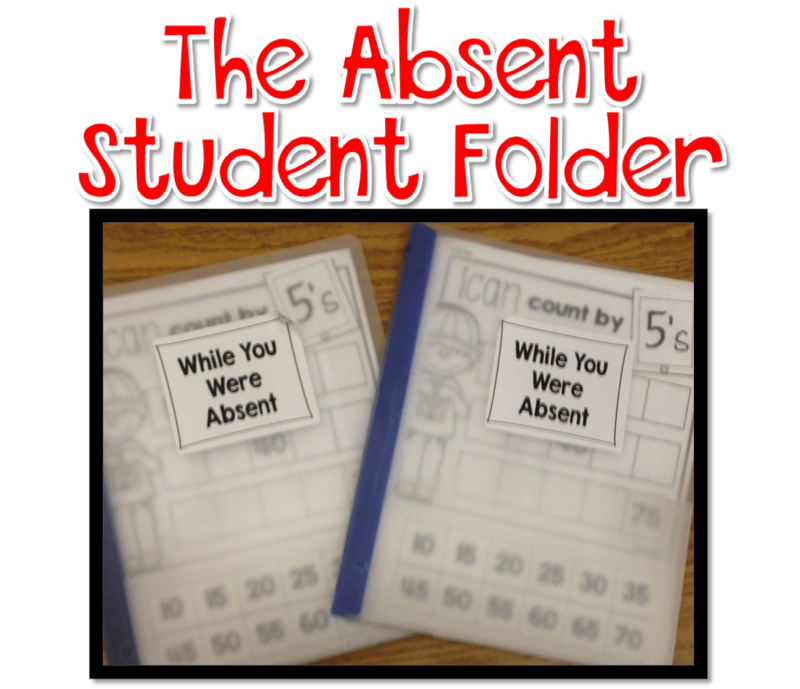 Now when a student is absent the "While You Were Absent" folder is placed at their table space. 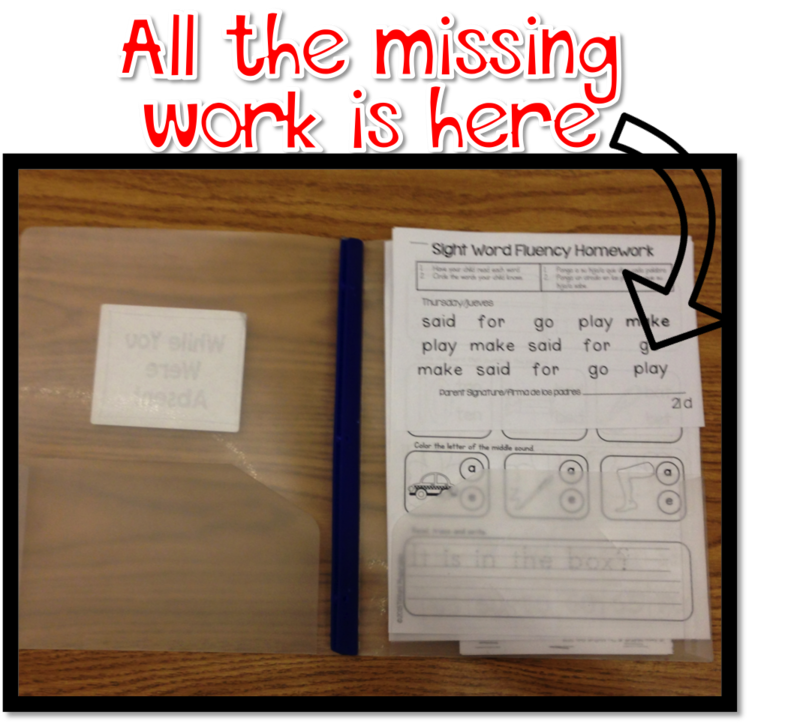 Each time class work is passed out, someone at the table puts the work in the folder for the absent student. At the end of the day I place the folder in their chair pocket. When the student returns they know they have a folder with all of their homework and classwork they missed while they were out. This system works so well. If kindergartners can manage it so could any other grade level. Ally ou need are some sturdy folders and a label. Such a great idea and so easy to implement. Thanks for sharing! It's always a puzzle to figure out what to do with those absent students. Thanks for the easy idea! I love how professional and official the homework folders look. My system was just to put things in their cubbies....but it almost never came back to me. I bet parents would take notice in these good looking folders.